A beautiful Pinalith Stone from Austria set in Fine Silver. Turquoise and Hessionite Garnets surround the stone. A Red Spiney Oyster accents the bail. 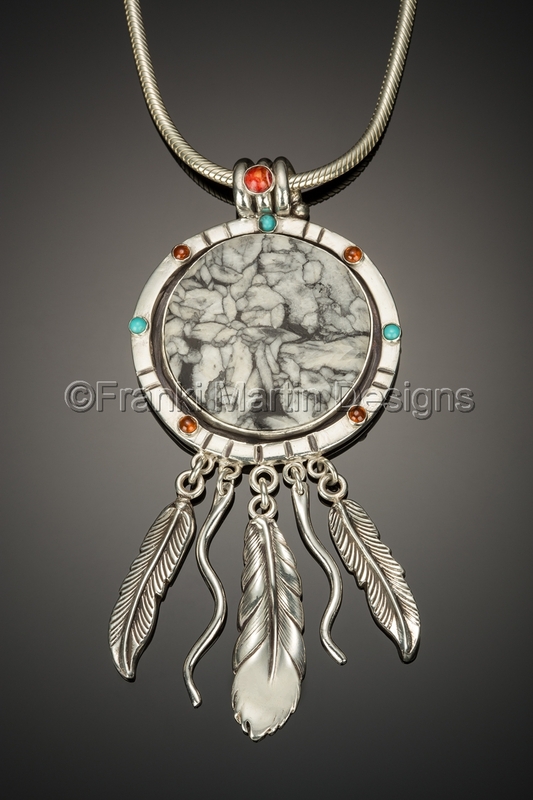 A 16" or 18", 3mm Italian Sterling Silver is included.